Doc Pomus was one of the first legit white blues singers and he had some legitimate blues. However, he would make his lasting mark on the music business as a songwriter. The man who brought soul to the Brill Building is affectionately profiled in Peter Miller & Will Hechter’s A.K.A. 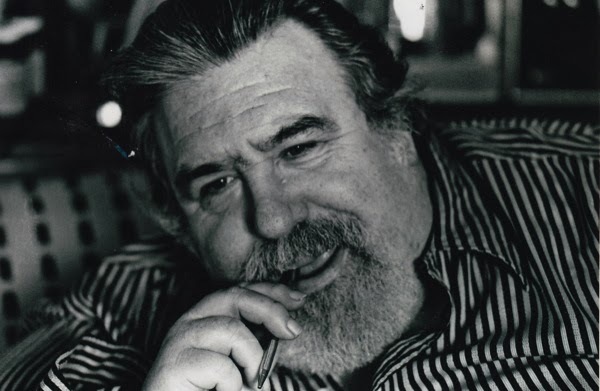 Doc Pomus (trailer here), which opens this Friday in New York. The man born Jerome Solon Felder might not sound like much of a blues or R&B vocalist, but soulful African American music just spoke to the young Jewish boy stricken with polio. After serendipitously discovering his talent, Felder redubbed himself “Doc Pomus,” embracing music as a calling he could still pursue. Unfortunately, he was not exactly the major labels’ idea of a front man, but he could write a tune. You will know his songs, even if you don’t know his name. Without Pomus, the world would not have “Lonely Avenue,” “Viva Las Vegas,” “This Magic Moment,” “There Must Be a Better World,” or “Save the Last Dance For Me,” the Ben E. King hit that serves as the film’s touchstone song. Conceived and co-produced by Pomus’s daughter, Sharyn Felder, AKA is an unusual revealing look inside the creative psyche. Incorporating Pomus’s uncomfortable candid journals (read by Lou Reed), Miller and Hechter create an unflinching portrait of an artist prone to severe bouts of depression. The Felder family participated in force, with Pomus’s daughter Sharyn, his Broadway actress ex-wife, and his brother Raoul Felder, the celebrity lawyer all discussing their relationships with the larger than life songwriter. Plenty of his musical colleagues and admirers also duly pay their respects, including Ben E. King, Dion, and Jimmy Scott, whose career Pomus posthumously rejuvenated. Nearly forgotten by the industry, Scott was signed by Sire Records after his moving performance at Pomus’s memorial. AKA is often a deeply personal film, but its musical analysis is still pretty on target, especially the defense of the soulfulness of Pomus’s “Sweets for My Sweet,” as performed by the Drifters (James Moody also recorded a wonderfully funky instrumental version with Gil Fuller’s big band). Well assembled and surprisingly frank, it is a good cut above most installments of American Masters. Recommended for fans of the blues and American pop music, A.K.A. 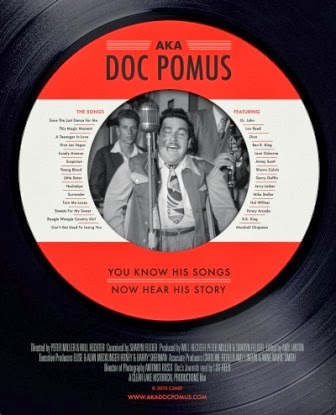 Doc Pomus opens this Friday (10/4) in New York at the Village East.